Turn your day of travel into animal and nature sightseeing with the Safari Float Adventure Connection! Enjoy the tranquility of the lower section of the Río Tenorio on this easy-going, nature-lover’s safari float. 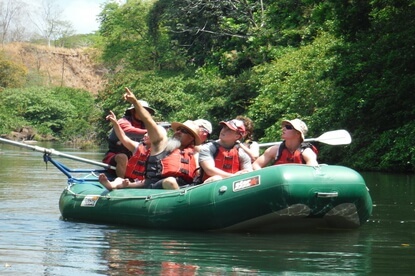 Your eagle-eyed guide will paddle and steer your raft as he points out the wide array of species of plants and animals. 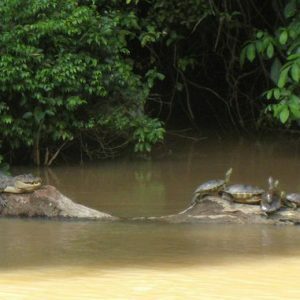 Spot howler monkeys, lizards, crocodiles, and even river otters, plus an incredible amount of tropical birds such as ospreys, boat-billed herons, parrots, and kingfishers! Clothes to get wet in, secure shoes, change of clothes for after the tour and a big smile!